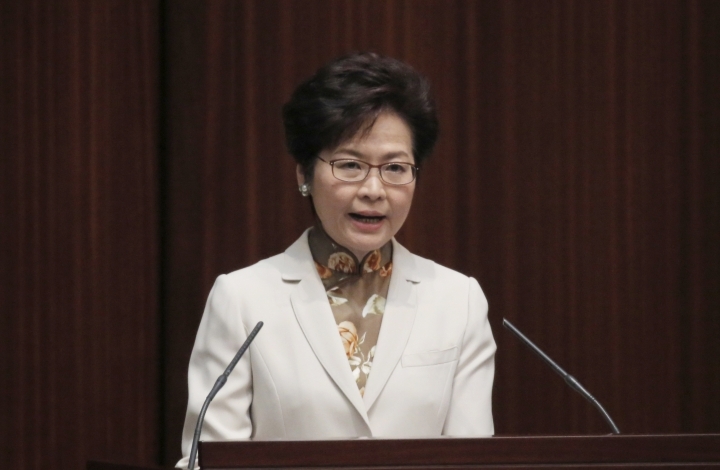 HONG KONG — Hong Kong's leader said Wednesday that residents of the southern Chinese city are obliged to reject threats to China's sovereignty, in what appeared to be a veiled warning aimed at rising separatist sentiment. 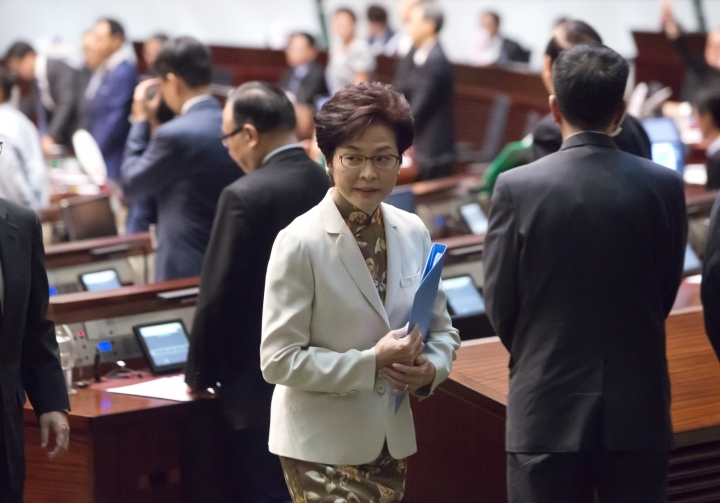 Chief Executive Carrie Lam's made the remarks in a policy speech carefully calibrated to avoid touching on politically controversial topics. 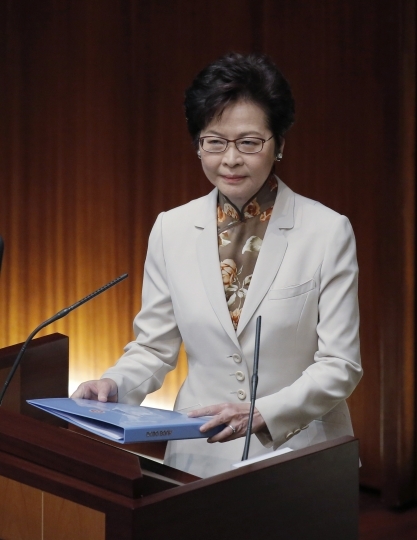 She didn't specifically mention simmering tensions over the Chinese-controlled city's burgeoning independence movement or soccer fans booing the national anthem. Those issues are part of residents' broader fears about Beijing's tightening grip on the semiautonomous city and erosion of its distinctive Cantonese identity. As she spoke, a British rights activist was reportedly denied entry to Hong Kong, further underscoring those concerns. 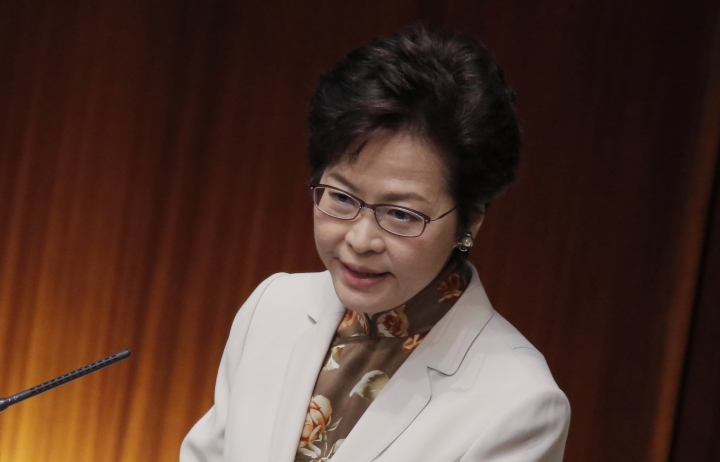 Lam, elected by a committee of mostly pro-Beijing Hong Kong elites earlier this year, told lawmakers that residents have "the obligation to say 'no' to any attempt to threaten our country's sovereignty, security and development interests, as well as the duty to nurture our next generation into citizens with a sense of national identity." 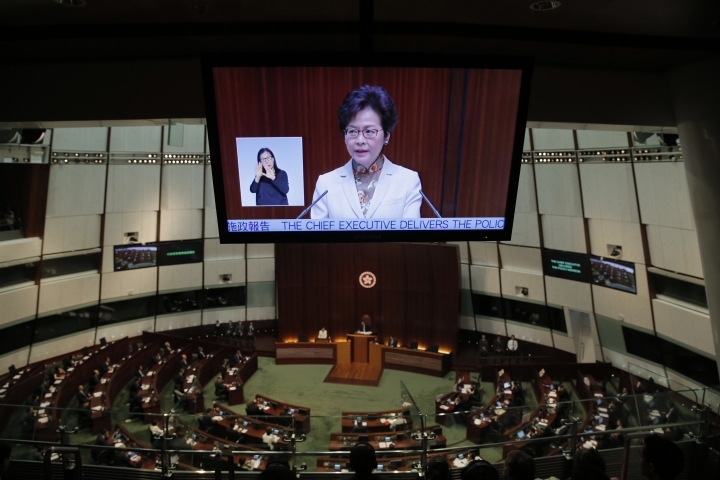 The Chinese central government's recent passage of a law making it illegal to improperly use China's national anthem, punishable by up to 15 days in prison, raised fears among pro-democracy activists and lawmakers that it could be used to undermine freedom of speech in Hong Kong. It's become common at soccer games for some fans to jeer the Chinese national anthem as a way to express their unhappiness with Beijing. At an Asian Cup qualifying match between Hong Kong and Malaysia on Tuesday night, fans raucously expressed their opposition to the anthem, with many turning their backs when "March of the Volunteers" was played before the game. Some held up a banner calling for Hong Kong independence in bold white lettering. Such heckling was "reasonable because Hong Kong people should be able to express their bad feeling or hate of China," said Calvin Lau, a fan attending the game. "They do not have enough space or a suitable channel to express (their feelings) in their daily life." 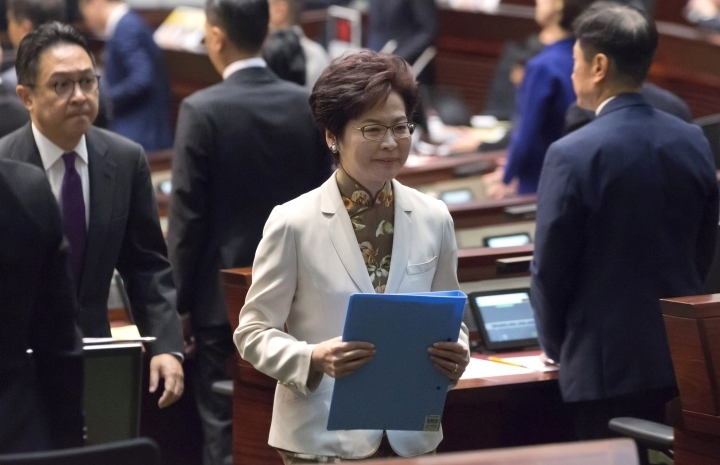 The new law still needs to be adopted in Hong Kong, and it's unclear how it will be implemented in the city, which has a separate legal system from the mainland. 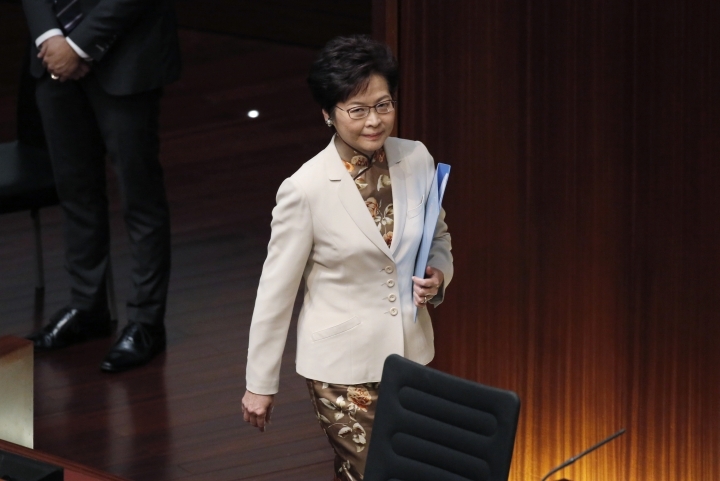 During a visit to Hong Kong earlier this year to oversee Lam's inauguration, Chinese President Xi Jinping warned against separatist sentiment, saying it's a "red line" that shouldn't be crossed. 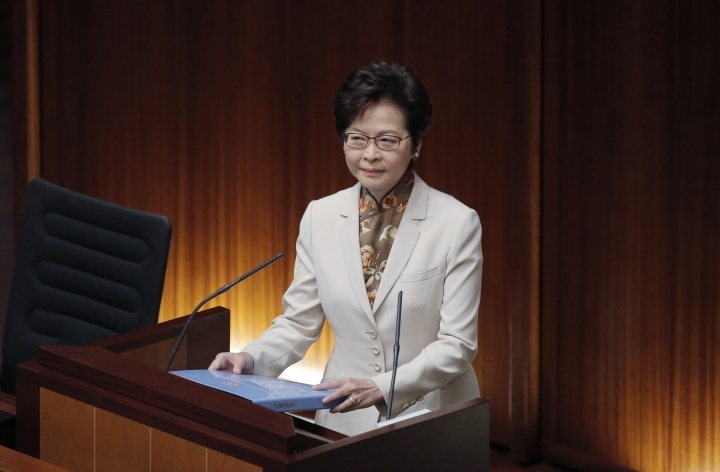 Lam spent the rest of her speech laying out plans to tackle the "increasingly grave challenges" Hong Kong faces, citing growing competition from other economies and protectionism. 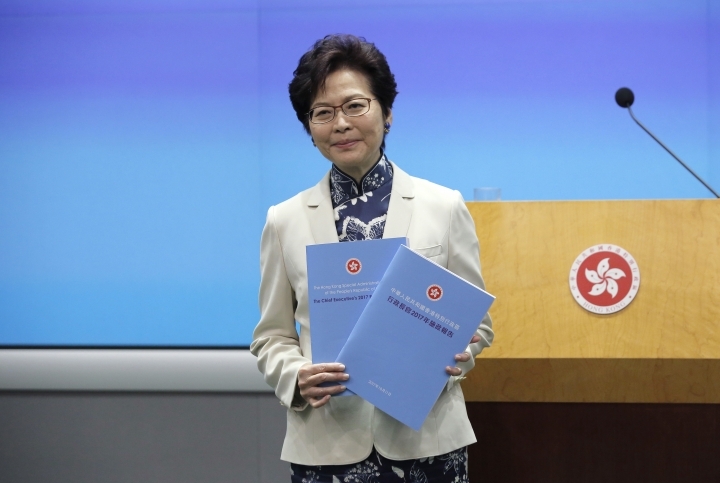 She said she wanted to boost growth by diversifying the Asian finance hub's economy into high-tech and creative industries and detailed a blueprint for tackling housing and land supply shortages that have contributed to some of the world's highest property costs. Also Wednesday, immigration officers at Hong Kong's airport barred a British human rights activist, Benedict Rogers, from entering the city, according to news reports and a democracy advocate. 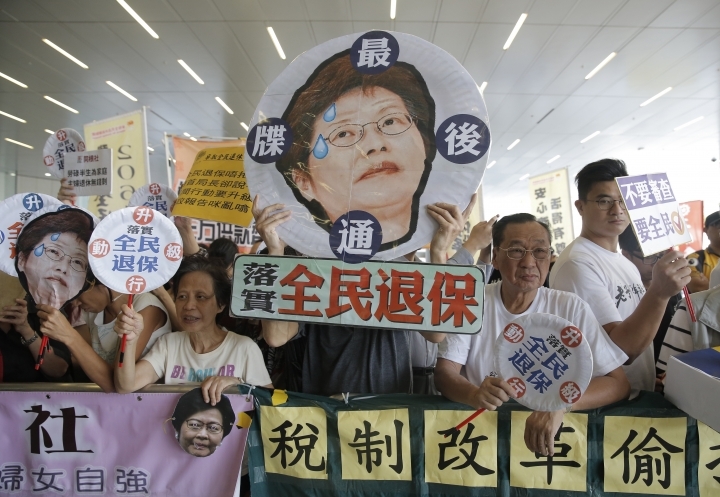 "I was expecting him to arrive in Hong Kong today, but got word that he has been denied entry and put on a plane back to Bangkok," where he transited, said Anson Chan, formerly the city's top civil servant and now head of a pro-democracy think tank. Rogers, who Chan said was making a private visit, is deputy chair of the Conservative Party's Human Rights Commission and lived in Hong Kong for five years around the time Britain handed control of the city to China in 1997. Earlier this year, he helped organize a petition condemning prison sentences given to three prominent young student leaders for their role in sparking massive pro-democracy demonstrations in 2014. "Maybe Beijing took a dislike to these activities," Chan said. 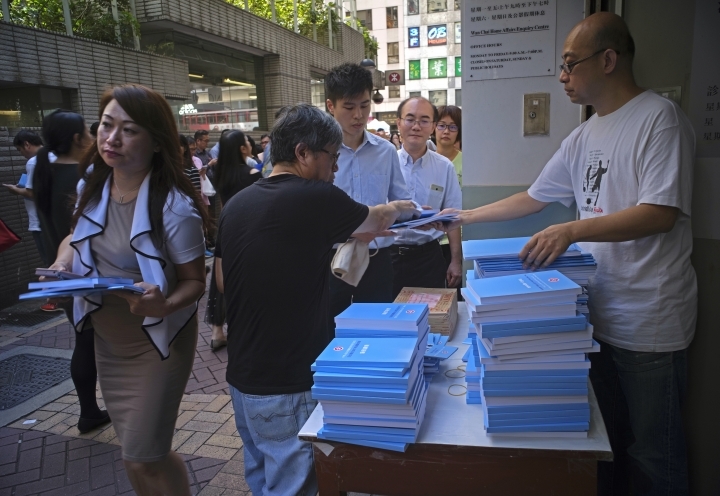 "We are all concerned, because once again it's chipping away at Hong Kong's high degree of autonomy."